We got the word today that Luna, while one of the top 10, was not selected for the wine label rescue dog. I can’t imagine why as I think this girl is perfect in every way and represents rehomed pets beautifully. 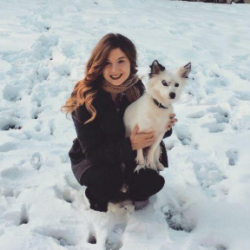 So I can share what I submitted – here is Luna’s story. Being a rescuer, I see a lot of dogs. I love a lot of dogs. I take care of a lot of dogs – and then I let them go. It is what I do. But even the rescuer occasionally gets rescued and in January of 2014, that is exactly what happened to me. Poodles are my life and my love first and foremost. 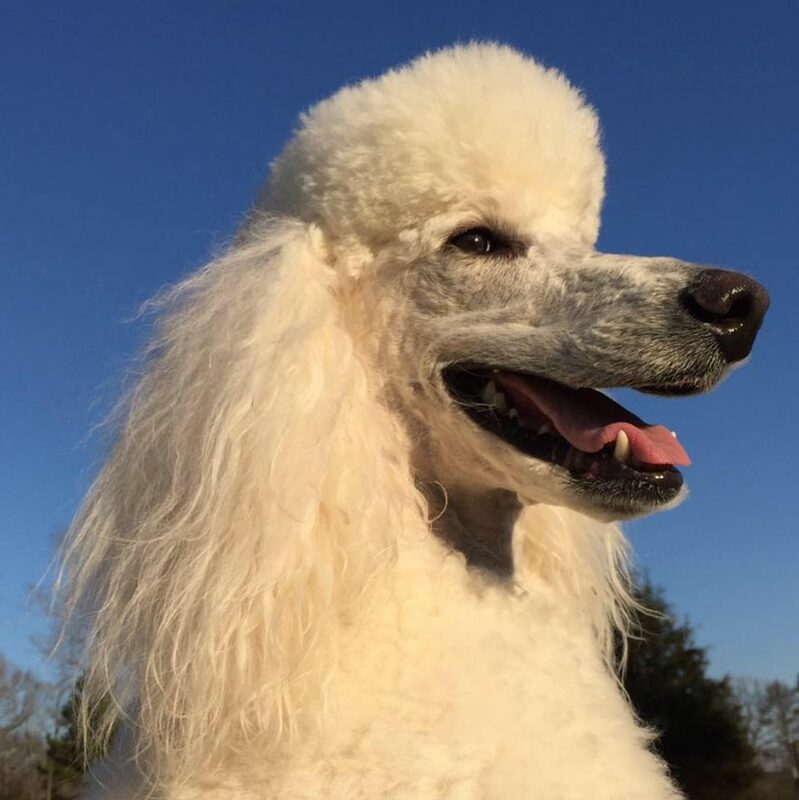 I thoroughly enjoy meeting dogs of all ages and breeds but for my home and my heart, it’s the poodle that I want to take home and while I own all 3 sizes, the standard poodle is truly the dog of my heart. I had a wild child rescued standard poodle named China who I adored and who kept me on my toes. China was just 9 months old when CPR was called to take her in. 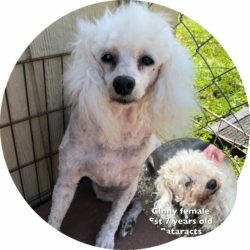 She had been left in a drop box in a rural Tennessee shelter with a note “we can’t take care of her.” From surviving parvo to her exploits around our poodle farm (including frequent rolls in the horse pasture droppings) , China’s name was synonymous with trouble and I enjoyed reporting on her antics. We were a team, and we were always together. Then suddenly, with no warning, in August of 2013 after 4 excruciating days in the hospital, my beautiful 6 year old standard poodle was gone. The vets could never figure out exactly why and it may have been linked to the parvo but her digestive system simply quit working. I am a survivor. I did not stop. I did what I do. I got up. I went to work. I rescued. I rehabilitated. And I let them go for none of them could touch my heart. China was gone. You can’t replace. I know that. And don’t fall in love with a picture. I know that, too. But in late November of 2013, an owner called me to discuss relinquishing her standard poodle, Luna. During our first conversation, there is really only one thing I remember. The owner said to me, “You know that standard on your Facebook page, the white one? Luna looks just like that.” My heart stood still. It wasn’t just the looks. Luna was an out of control young standard with little outlet for her massive energy. 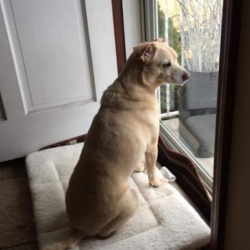 Her family loved her but could not give her what she needed. The more I heard about Luna’s exploits, the more my heart yearned to meet her. My wild child China had been reincarnated. It was more than I could dare hope. In January, Luna was delivered to our poodle farm. I don’t know how long it took her to fall in love with me but I knew, the minute she stepped one paw onto our property, that my heart was full again. My Luna. Dreamweaver’s Night Dancer. She made me whole again. Luna is now the constant companion. She complements me. She teaches me. She proudly represents rehomed dogs everywhere proving that rehomed does not mean rejected. She is a show stopper and we use her beauty and grace as a conversation opener to talk about rescue and rehoming adult dogs. I know that Luna’s story isn’t one of a dramatic come back from extreme abuse and neglect. Those stories touch hearts and people need to hear them but I do believe that the majority of rescue dogs landing in rescue organizations and shelters every day through absolutely no fault of their own are perfectly nice dogs. They are simply in the wrong place at the wrong time and are displaced because the family lifestyle and the dog’s personality aren’t a good fit or because their owner’s lives change. 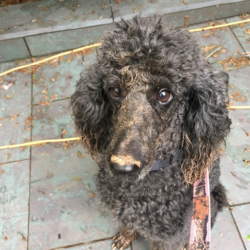 With Luna as the Carolina Poodle Rescue spokes dog, we’re showing the world that having more than one owner doesn’t make you a bad dog nor does it make the first owner a bad owner. It means that the people involved think first and foremost about the well-being of the innocent creature in the middle who has no choice and no voice of their own.